To create a successful online course today, you are likely to have to surrender to the general public preference and … record videos. If you have no experience doing this do not worry, it’s easier than it looks and we have some tips and pointers to help. It is no secret that watching videos on the internet is a habit of the vast majority of people. To get an idea, only on Facebook, 3 billion videos are watched daily. For this reason, to create an online course with greater conversion potential, pay attention to the steps below on how to record videos with quality. Sketching a script and planning the content of the video and how it will develop is critical. From your speeches, to texts and supporting images, everything must be prepared and rehearsed before you actually start producing videos. Structure the content so your audience can easily follow your line of reasoning. Use slides to highlight your key points, but avoid filling them with to much information and repeating what you are already saying. To produce good quality videos yourself, you will need to download a screen capture software to help you. There are several free programs available on the internet that can help you do a good job. If you are willing to invest, you will have access to more advanced features of these software and you can create even better material. In the course of this article, we have listed 6 screen capture programs that receive good ratings from their users. Your recording environment will determine any extra device you may need to maximize audio and image quality. Choose a quiet, well-lit room or office and position your camera so that it registers your head and shoulders and stays above eye level. In a quiet environment and with good lighting, you should be able to capture audio and video good enough for your purpose using only your computer’s microphone and camera. Backlight: If there is too much light behind you, there is a great risk that your image will become a big shadow on the recording. Low light: Webcams have small sensors and tend to make the video appear unstable and grainy if there is little light in the room. Background noise: Air conditioners, washing machines, computers with noisy fans and even external voices can compromise audio during recording. Clutter: Avoid sitting next to anything that might distract viewers. Arrange your space to stay organized and professional, and do not take the focus away from what really matters, your presentation. If background noise and poor lighting are a concern, there are simple and affordable solutions that improve the quality of the recording. External Microphones: To enhance audio, you can add a microphone that plugs into your USB port, such as the USB microphone Blue Snowball Microphone or the USB condenser microphone CAD U37. Additional lighting: Make sure that your face is visible and illuminated with soft light ahead. To help, you can simply use a table lamp or position two lamps behind your computer. After setting up audio, taking care of lighting and other elements to record videos, make a test video. Use this video to practice your presentation, analyze your speech and check if you spoke clearly and slowly, giving the viewer time to assimilate what was said. Also check to see if you are satisfied with the sound, lighting and overall quality of the video. We recommend that you record all the content without pauses. If you make a mistake, simply stop talking for a few seconds to leave a silent recording track. This will make it easier to cut the section you do not want later. After you finish recording, you can start editing the parts that went wrong, enter transition effects, soundtrack, etc. When you are satisfied with the result, click upload. 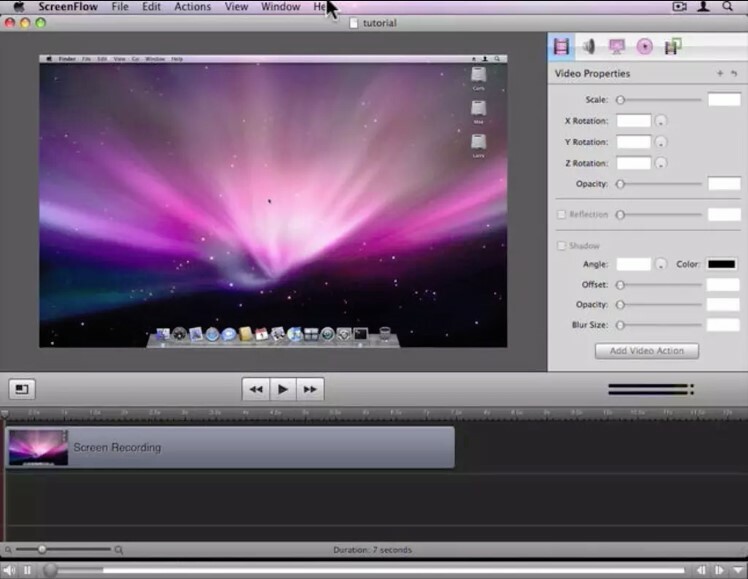 Your screen capture software will process and send your recording to your video library. Video ready, you can upload the material on platforms such as YouTube or Vimeo and add the video to your Virtual Management System (LMS) . And if your screen capture software includes video analysis, take the time to evaluate the effectiveness of your recordings. For example, if you find that students are giving up watching in a certain part, re-edit the original video in the software to enhance the learning experience. We have selected 6 programs with good ratings from users. Among the free and simple to use options, Free Online Screen Recorder is a great solution to record videos. You can record video and audio through your webcam or set the audio input options to use an external microphone. The program is available for Windows and Mac. It automatically detects the operating system and adjusts the output settings accordingly. 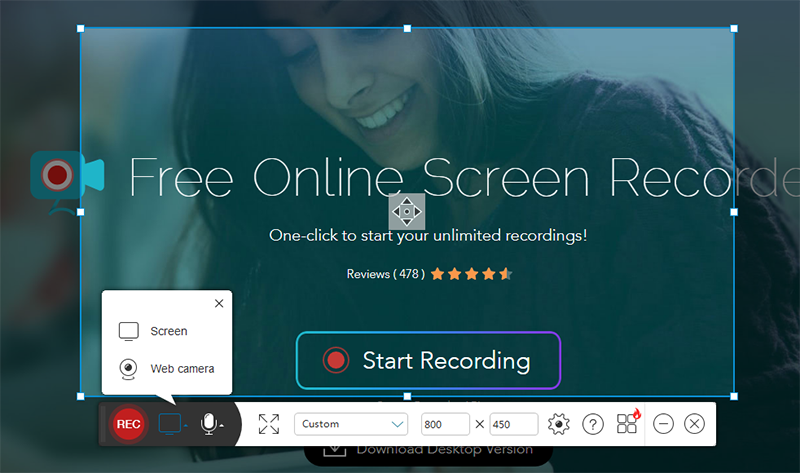 The Screen Grabber Pro is recommended as the best desktop screen recording software. It is a simple and direct tool to record videos using webcam with high quality audio. The software allows recording in specific regions or full screen. In addition, you can record the screen with audio simultaneously and even include the webcam video in the recording. BB Flashback Express is an effective, simple to use and multifunctional screen recording app. Free, it captures screen in Flash or AVI formats, including audio. 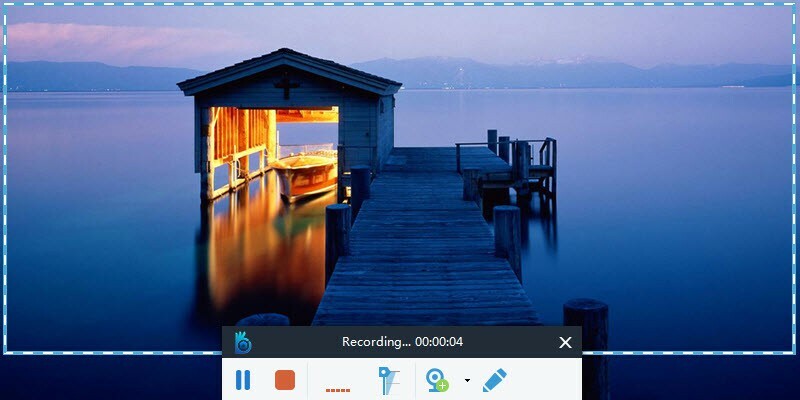 Perfect program to record videos for web, create seminars, demonstrations or tutorials, allowing to add text, sound, comments and a great variety of functions with high quality. Available for Mac OS only, ScreenFlow is a well-crafted and easy-to-use software for people who want to produce video tutorials, record webcasts, or even perform post production of professional videos. With direct upload to YouTube and Vimeo, the software speeds up video sharing on these platforms. ScreenFlow lets you do just about everything about recording and editing simple videos created from your computer screen. However, the software does not present any options for editing the audio, so if you need to, you will have to use some other sound editing software. 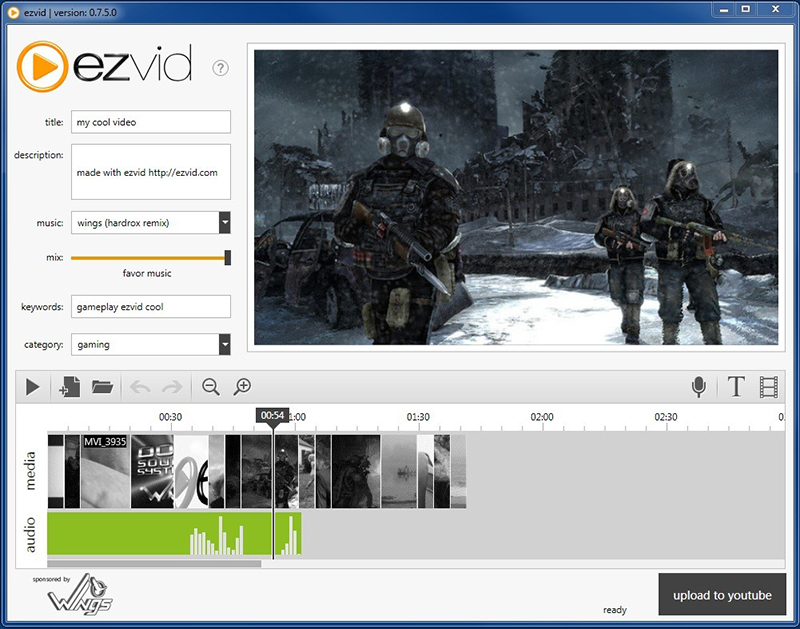 Good to create presentations and record videos from the screen of your computer, Ezvid is completely for free. With simple and intuitive interface, the program is perfect for anyone who wants to develop tutorial presentations with images and sound. It works well on many platforms, from Windows XP to the latest operating systems, and you can still send the final video straight to YouTube. In the market for a long time, the Camtasia Studio is a screen capture and recording tool for Windows and Mac. 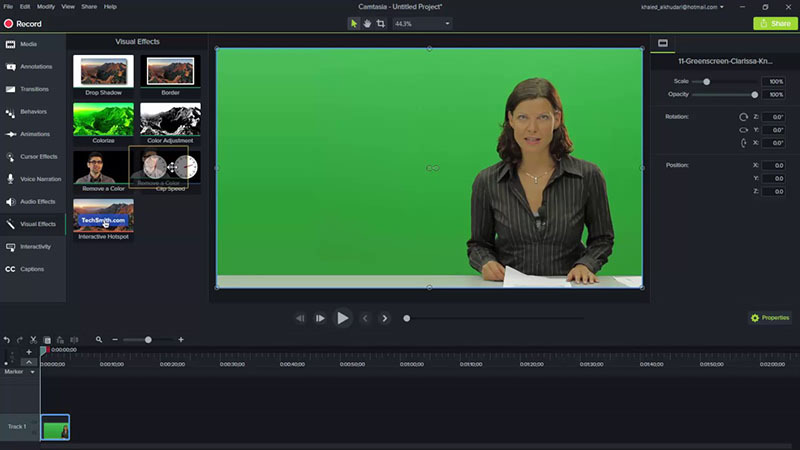 Quite comprehensive program, besides the screen capture function, it offers several options for editing videos. 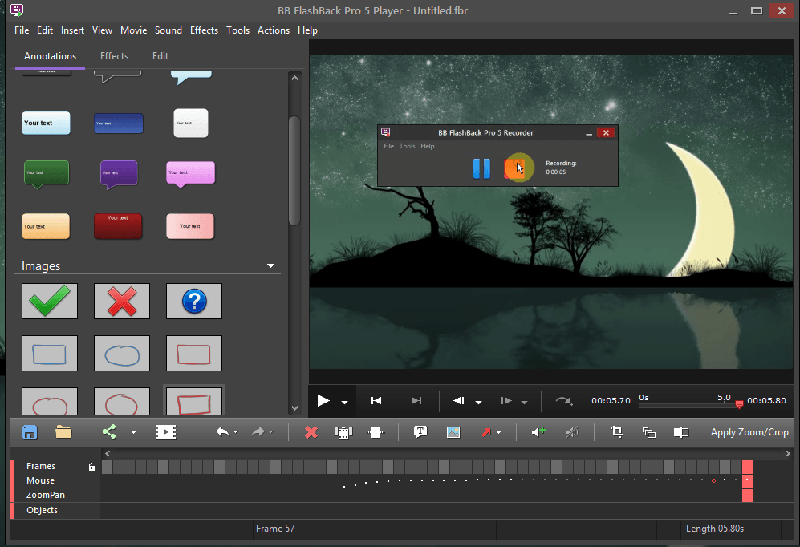 Ideal for creating tutorials and slideshows, the software has advanced features such as manual choice of video resolution, effects, and ready-made themes to make your work look professional. Producing videos is a perfect way to create more dynamic and interactive classes for your online course. 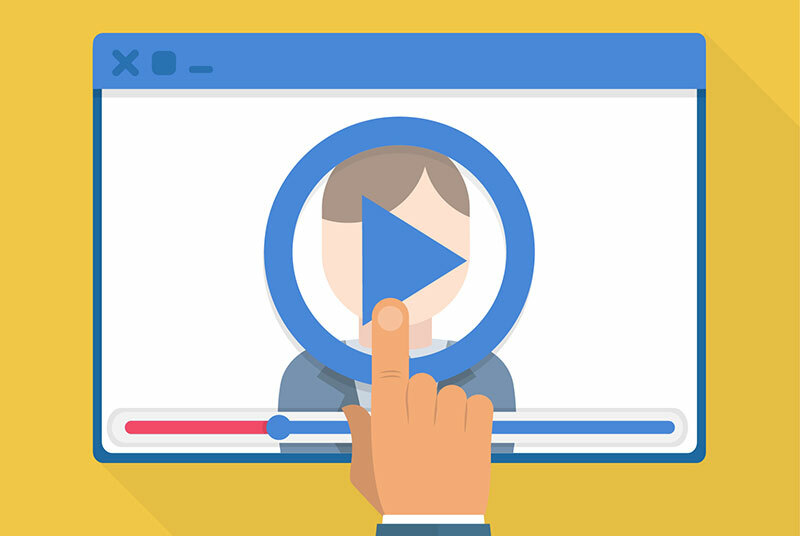 You can use videos to educate your audience on an important topic, create tutorials, record lessons, talk about your services or products, conduct interviews, conduct online seminars, and more. The possibilities are endless, just define what type of content best suits your goals. Through hosting and sharing platforms, the material is easily available online and therefore accessible to all. Recording done, just choose the best platform to host your content and allow your audience to have easy access to the material. The choice of platform, such as Youtube and Vimeo, for example, will directly influence the visibility that your video will have, so choose well. Elearning Platform (LMS), Coursify.me has all the necessary features for you to integrate and import content from channels such as Vimeo and YouTube. Instructors can embed their hosted videos on any of these platforms on their page on Coursify.me, making their lessons even better. 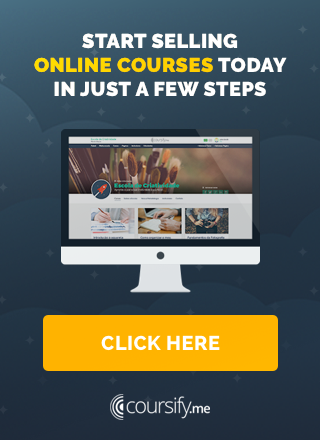 Visit our website and enjoy all the features our platform offers to create and sell quality online courses. Coursify.me is an online learning platform, where any person or company can build a LMS and sell online courses over the internet.